The next store to open inside the Hahne’s building will be tech store, Kite+ Key. To get excited about the upcoming Afro Beat Fest, we're debuting a new Afro-centric Newark poster. The Painter's Palette makes a dedicated space for paint and sip events for people of all ages. 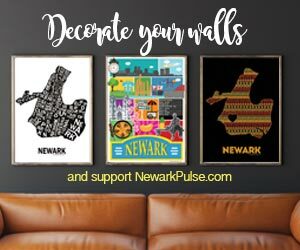 Shop local for Newark's hottest event of the summer. Looks provided by Off the Hanger & A Girl/Guy Thing. New retail store to come to Halsey Street soon.